We understand when it comes to service, every second counts and it is critical to address issues quickly and effectively to mitigate downtime and lost productivity and profits. We become an extension of our clients’ team and are proud to stand behind the quality work and exceptional service they can trust. We deliver total network support from preventative maintenance to troubleshooting and repair. Our experienced team is at the forefront of industry technology and includes two Registered Communications Distribution Designers (RCDD) as well as several BICSI-certified (Building Industry Consulting Service International) technicians. We pride ourselves on delivering solutions our clients can count on to positively impact their business and bottom line. 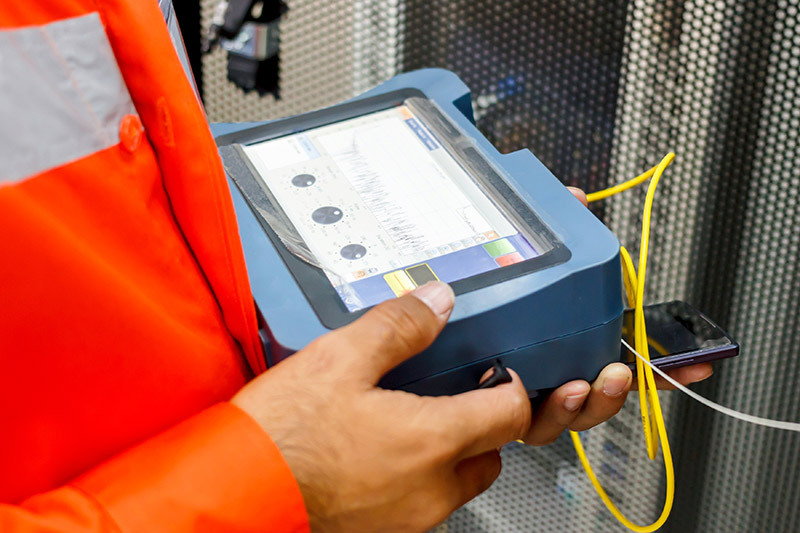 Reach out today to learn more about Gettle’s network testing and evaluation capabilities.